These washable pail liners are a necessity when cloth diapering! Water resistant and colorful, they close with an elasticized drawstring cord and toggle. Approximately 64cm/25” wide by 69cm/27” tall. Holds 2-3 days worth of dirty diapers! Talk about versatility - these can be used as a pail liner, tote bag or laundry bag! Packs up small and is easy to use with elastic cord and gusset. The elastic cord gives a nice tug fit over the edge of your cloth diaper pail, keeping the bag from slipping off. When it comes time for laundry it turns into a perfect tote bag - once it is washed and tumbled dry, put your clean cloth diapers and covers into it to carry back to baby's room! When not in use, fold it up and tuck it into your diaper bag until it is needed again! We recommend rotating with a minimum of two pail liners, giving the liners time to be washed and aired-out between uses. 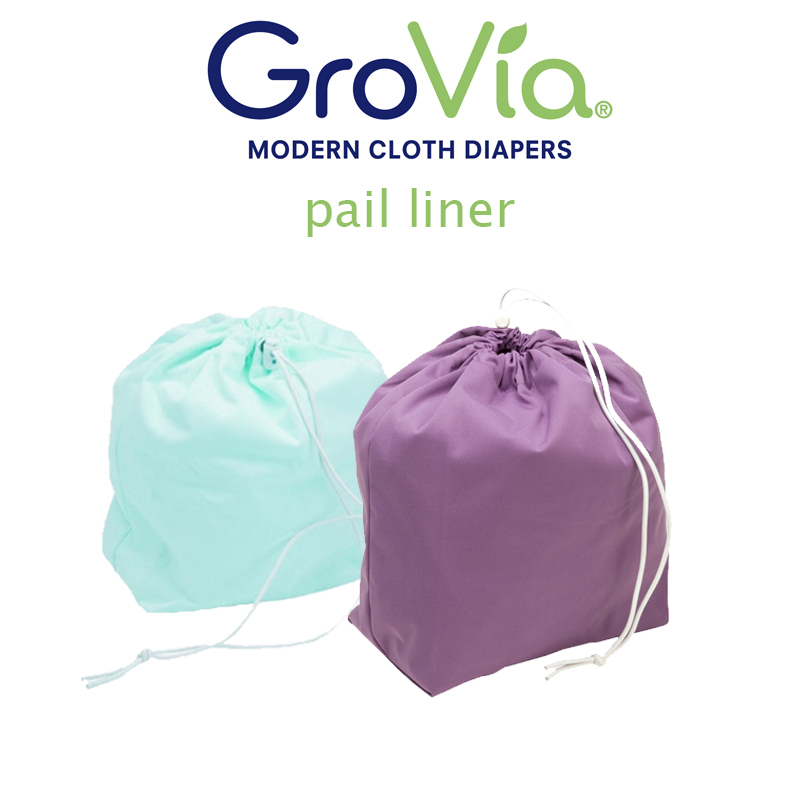 The GroVia Pail Liners and GroVia Wet Bags will serve you well even beyond diapering - use them tobring wet items home from the beach/pool, as a travel/gym bag, or to keep soiled shoes/clothesseparated from other items in your car!